As Canada’s leading online mattress brand, we like to keep things exciting as we work towards our mission of ensuring all Canadians are getting a better night’s sleep. That’s why we’re thrilled to share the snooze: We’re opening up our first-ever immersive retail activation in Toronto at Stackt! Our experiential space, dubbed The Endy Lodge, will open from early April 2019 through until the end of November 2019, and will be an extension of our online brand experience. We’re Canadians helping other Canada’s get a better sleep. This exciting news follows the recent launch of our national partnership with Canadian retailer Urban Barn, announced in February 2019. So why Stackt? Well, we’re always on the lookout for new opportunities that best suit our style, and Stackt’s unconventional design—shipping containers in place of bricks and mortar—is the perfect place for us to create a bonafide relaxation destination for shoppers. And it’ll be an experience far from that of your traditional mattress store. Put your curiosities to bed! Meet our products in-person so you can experience why Canadians, like national treasure Jann Arden, are raving about them. Our two napping nooks and back bedroom featuring our best-selling Endy Mattress. Shopping can take the wind out of some of us. 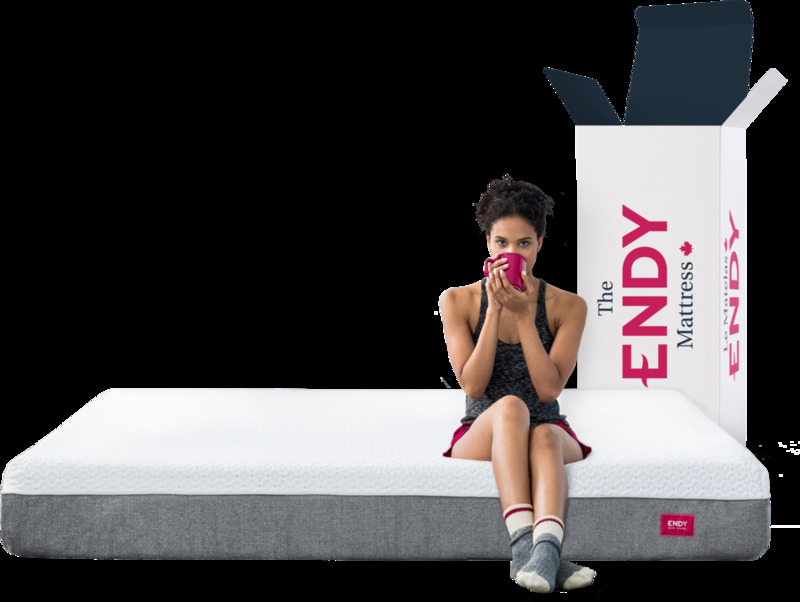 With our Endy ensemble—mattress, sheets, pillows, duvet, duvet cover, and mattress protector—available to cozy up to plus furniture completely outfitted by Urban Barn, The Endy Lodge is the perfect oasis to rest and recharge. Do as the Europeans do and take a 20 minute siesta in one of two napping nooks. Not in the mood for a snooze? Both nooks feature a mirrored ceiling for optimal photo-taking. Cheeky hashtags are included. So visit, stay a while, and relax with us, Torontonians. We’re excited to meet you at The Endy Lodge. Find us at 28 Bathurst St., unit 1-109!